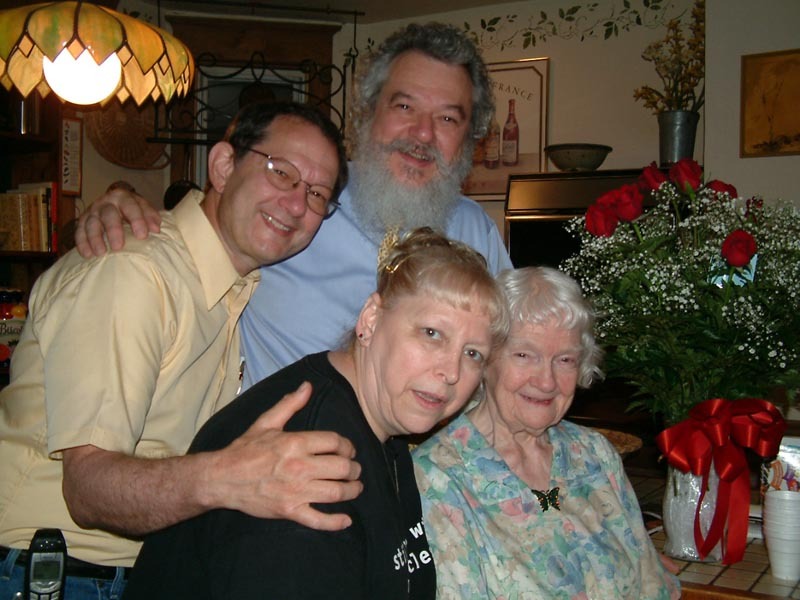 In the picture, starting at lower right and going clockwise, are Grandma Stewart (Alice), Aunt Sylvia, Uncle Harry and Dad (LeRoy). Uncle George was unable to come. It was Harry's idea to treat Grandma to dinner, flowers and a symphony concert. This all happened on May 28 in Baltimore, Maryland at the Meyerhoff. We were treated to magnificent performances of Beethoven's Piano Concerto No. 2 in B-flat Major, opus 19 and Bruckner's Symphony No. 4 in E-flat Major. The pianist in the piano concerto was Louis Lortie and both works were conducted by guest conductor, Günther Herbig. The Beethoven concerto was wonderful. Mr. Lortie's fingers flew flawlessly over the keyboard! The Bruckner symphony was breathtaking. Mr. Herbig conducted it passionately without any music!! Grandma had a grand time.